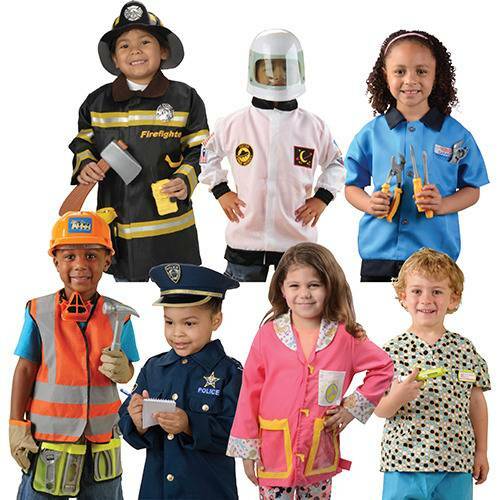 For realistic role play, these career outfits fir children 3 to 6 yrs. of age. Jackets are machine washable and have easy slip-on, hook and loop closures. Ages 3 yrs. +.